Every day, millions of lovers come to Las Vegas to get married! 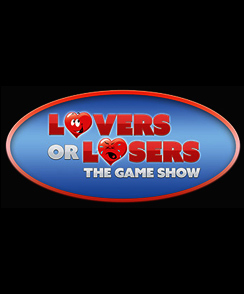 Why not showcase your luck while celebrating your love on the new live game show “Lovers or Losers.” If you are a Loving couple going to Vegas you are welcome to use your skills, smarts and love on the battlefield as contestants on “Lovers or Losers”. The winning couple will be crowned “The Lovers” of the night and even win prizes. 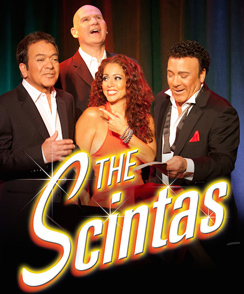 The Scintas will throw you off balance with their far from routine show of fantastic comedy and musical variety. This incredibly talented foursome draws a capacity crowd at every show. Scintas fans come in all ages and from all walks of life because they offer something to appeal to every viewer whether it be comedy or music. The group is adaptable and always original with no two shows alike. You could hear a hilarious imitation of Joe Cocker, perfect impressions of Johnny Mathis and Frank Sinatra or a musical number which would make you swear you’re listening Billy Joel on stage in front of you. Show tickets are available for purchase at the Box Office located in the Plaza & Company store or by calling 702-386-2507. The Plaza Hotel and Casino anchors the famous Fremont Street Experience in Downtown Las Vegas that embodies the very essence of Fremont Street Vegas entertainment. Fremont Street Experience is a pedestrian mall and attraction that occupies 5 blocks of Fremont Street, including the famous Fremont Street lights, an area known for years as “Glitter Gulch.” The overhead attraction, Viva Vision, displays state of the art light and animation technology with 12.5 million synchronized LED modules and a 550,000 watt sound system. Viva Vision is located in the barrel vault canopy, 90 ft high at the peak and four blocks in length. Fremont Street Experience offers nightly light shows on Viva Vision and free concerts on most weekends on both the 1st and 3rd Street stages. 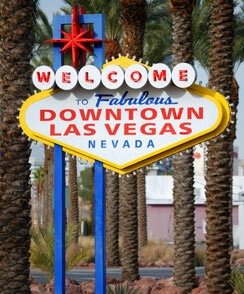 The venue is a major tourist attraction for Downtown Las Vegas!